Should Granville Bridge centre lanes be converted to walking, bike paths? 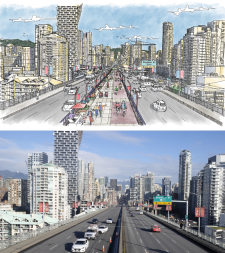 A Vancouver city staff report suggests converting the centre lanes of the Granville Street Bridge to walking and cycling paths. The report filed by the city's engineering services department earlier this week suggests removing the lanes at the same time as the bridge undergoes seismic upgrades. The recommendations were included in a 10-page report presented to the city's standing committee on policy and strategic priorities. The report will go to council next week. 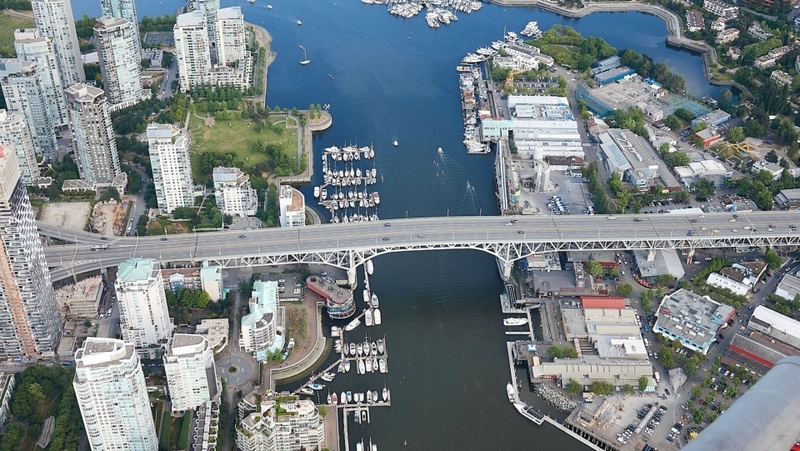 If the idea were approved, an accessible path for wheelchairs, strollers, pedestrians and cyclists would be built in co-ordination with other upgrades to the bridge, including a possible elevator. "The goal of this project would be to create a safe, comfortable, accessible and enjoyable walking, rolling and cycling experience across the bridge, which would seamlessly connect major destinations and link to the city's broader network," the report summary says. "The project would take advantage of excess road space on the bridge my reallocating traffic lanes to create a unique experience and sense of place, including spectacular city views and opportunities for amenities such as art and public seating." The report says the 65-year-old, eight-lane bridge was initially built to connect high-speed, high-volume freeways, but those freeways were never built. 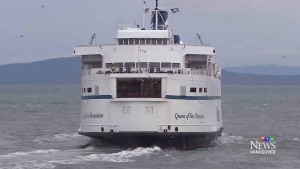 "As a result, the bridge has significant excess road capacity," the report says. "Even if each of the streets feeding the bridge were full, the bridge itself would be relatively empty." It suggests the committee gather feedback on the idea from stakeholders and the public before going forward. Once the data is collected, the motion would go back to council in July, and the design process would start in September.